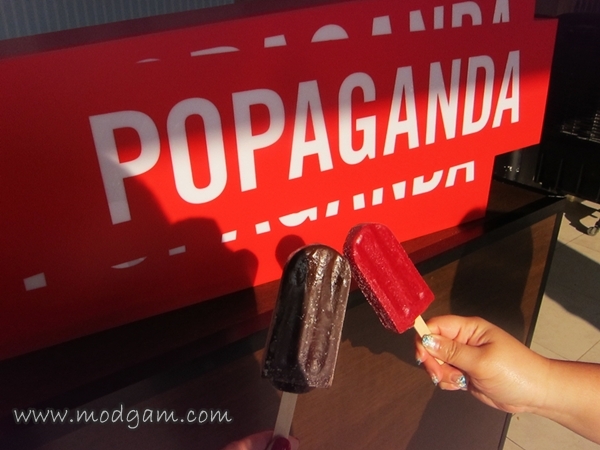 Popaganda – healthy, diary free and 100% vegetarian ice pops! 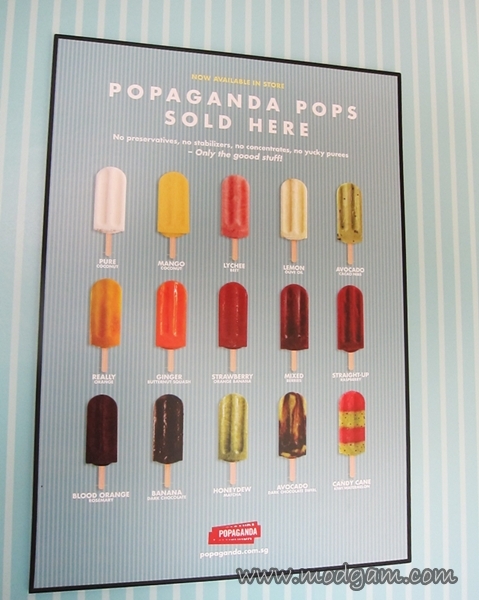 Popaganda is a creative food business that aims to be delicious, healthy, fun and just as importantly, friendly to the environment and community. Food from thought. It’s about food that is good in every way. 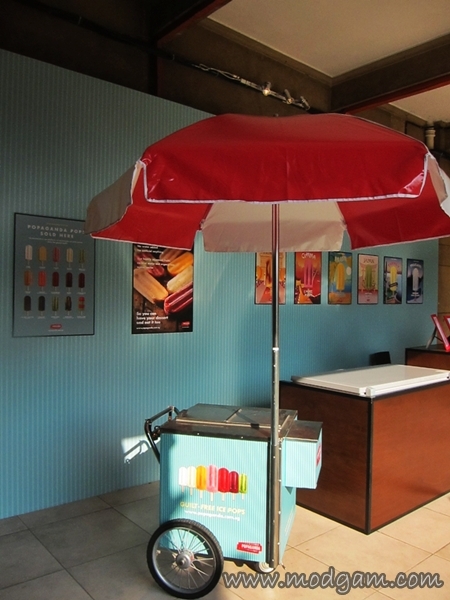 Popaganda produces delicious, all-natural frozen sorbet treats in a community friendly and sustainable way. They have so many interesting flavours to choose from and as I was busy scanning through the poster for one, I was told they are left with only the Mixed Berries and Banana Dark Chocolate. We chose one each and I had the Banana Dark Chocolate. YUMMYLICIOUS! Not too sweet, not that I’m complaining for I will love it too if its very sweet, and it taste exactly like my favorite banana chocolate cake! I am disappointed to know their stall will only be here till the exhibition is over. 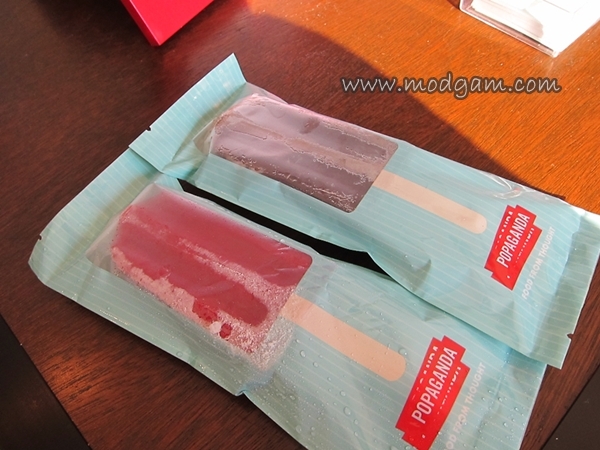 Fret not, they do delivery and their ice pops are distributed in quite a few branches around Singapore. 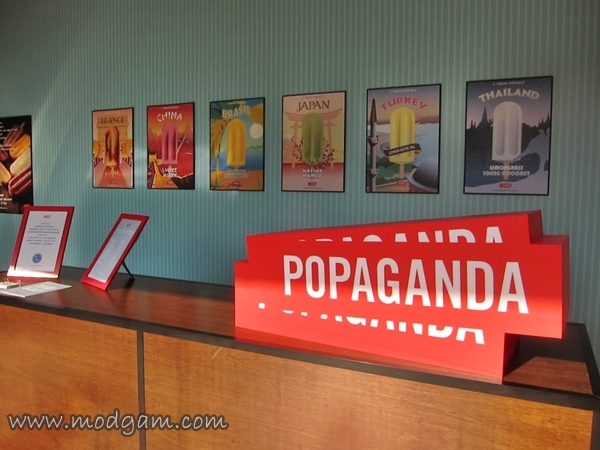 Snack away guilt free for Popaganda’s ice pops are made from scratch with natural and even organic and local produce. No artificial sweeteners, preservatives or colorings are used. Diary-free and 100% vegetarian! 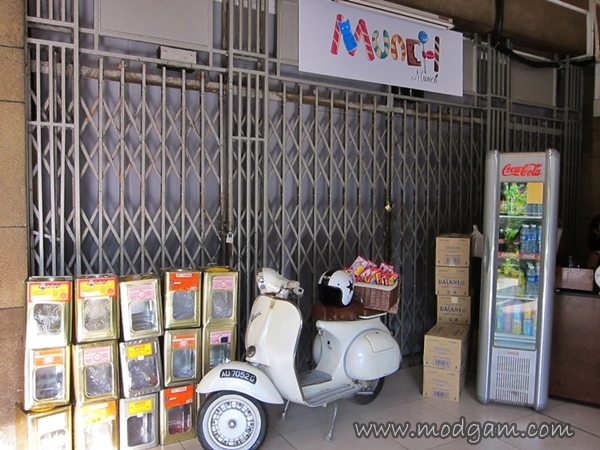 After a nice cold pop from Popaganda, we took a walk down memory lane to Munch Munch. 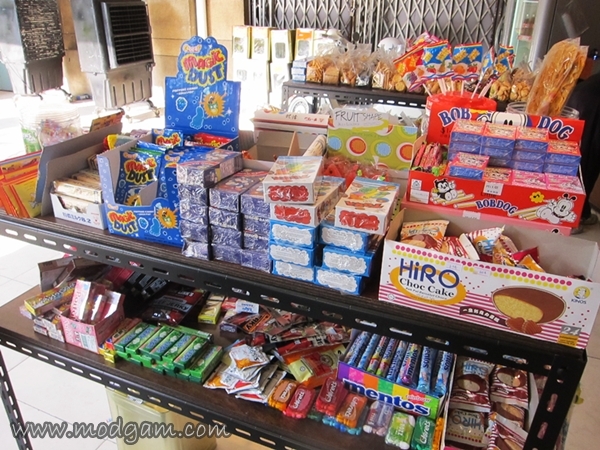 The cool biscuit tins reminded me of my childhood times and the many cool childhood snacks I used to eat! 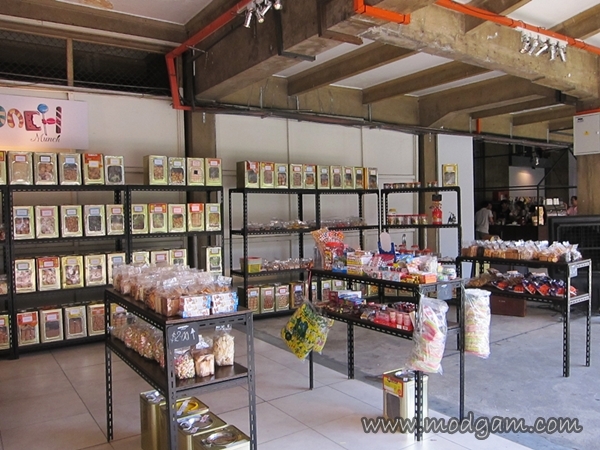 You can purchase rock bun, apple pie and even kaya bun from Seng Chong Confectionery or have freshly brewed coffee from The U Cafe. Oo delicious! I love that they deliver, there a few vegan cafes in London whose food I really love but they’d never deliver but one in particular does the most amazing raw food ice cream, sooooooo good I’ve never tasted better ice cream and it doesn’t make you put on weight! If they delivered, I’d be ordering it all the time! It’s definitely a good way to expand the customer base, especially as people can’t visit all the time. i agree and its little effort in going that extra mile that gain them more customers and sales. but then again, they might not have enough manpower or maybe they dont see the need to incur more cost to get a delivery man. heheheeee i know i know! freeze the tea and you’ll get a tea lolly! 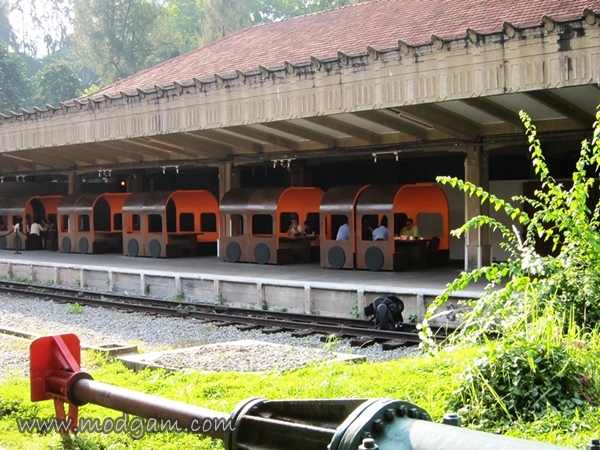 yes, its a retro kinda setting. My parents used to take me to such sweet biscuit warehouse to get biscuits! very cool!